This presentation can be used to introduce new and disruptive technologies to engineering students. 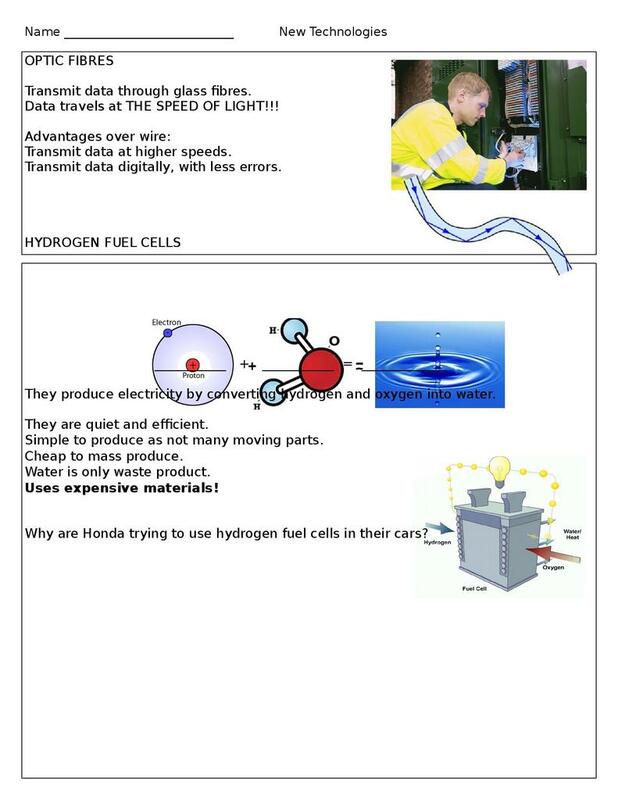 It was based on BTEC Engineering but would also be relevant to GCSE Design and Technology / engineering. It contains an overview of hydrogen fuel cells, optic fibres, blended wing bodies, surface nanotechnology, bionics.